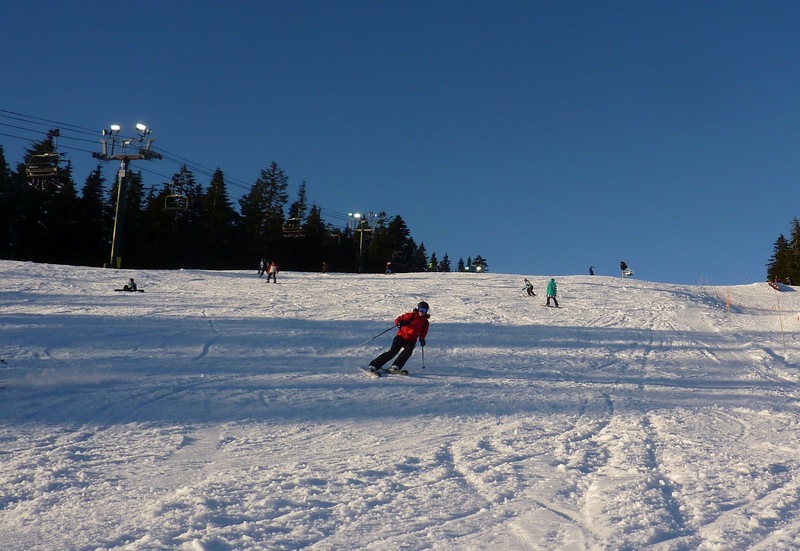 On Saturday J and I joined the swarms on Grouse. 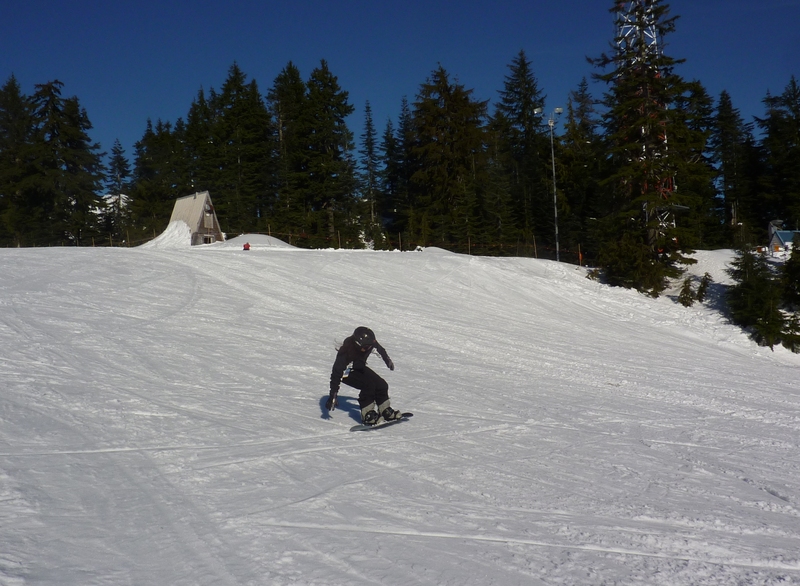 J practiced her snowboard skills on The Cut in unseasonably warm sunshine; I skied beside her until darkness fell, and then took a couple of very fast runs down Centennial, Expo, and a mogul-ridden Peak. It was a great day for two reasons. 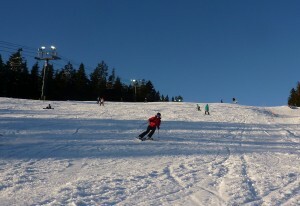 The first was the beautiful sunshine and soft snow: it was a perfect bluebird day, more like April than February. The second, and far more important, was that J was with me on the mountain. It made me so happy that she was there; even more so that after a two year gap (thanks to my injury and recovery) she was controlling the board really well and carving beautiful clean lines across the snow. I tend not to ski on the north shore all that much because Whistler is just a short drive further and provides so much more bang for the buck, but every now and then it’s good to be reminded how lucky we are to have these mountain playgrounds right in our back yard. This entry was posted in Grouse Mountain, Skiing on February 5, 2012 by Kay.